Nvidia has created a new set of tools and utilities that it has bundled together in the form of Nvidia DesignWorks VR. 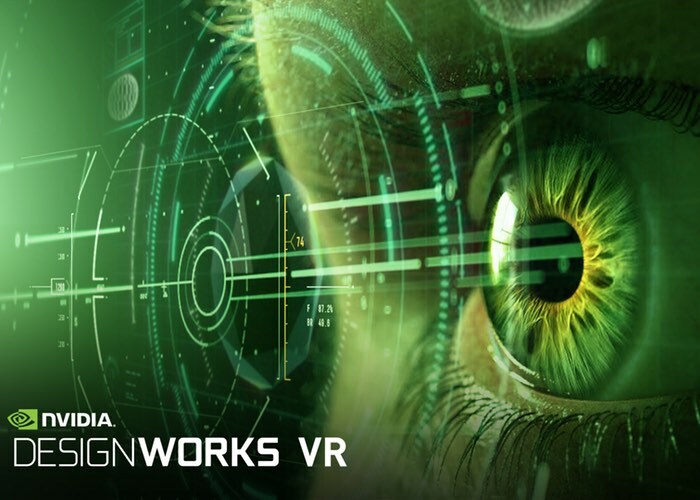 DesignWorks VR offers APIs, libraries, and other features that have been created Nvidia to enable both virtual reality headset and application developers to create amazing VR experience for the range of new hardware that is becoming available. Multi-Res Shading is an innovative new rendering technique for VR whereby each part of an image is rendered at a resolution that better matches the pixel density of the warped image. Multi-Res Shading uses Maxwell’s multi-projection architecture to render multiple scaled viewports in a single pass, delivering substantial performance improvements. Warp & Blend API’s provide application independent geometery corrections and intensity adjustments across entire desktops to create a seamless VR CAVE environments. Warp & Blend API’s enable all the above adjustments for prestine image quality without introducing any latency. For more information on the new Nvidia DesignWorks VR applications jump over to the Nvidia website for details and to register your interest in using them to develop your next VR project.